IRS Form 2848 is used to authorize eligible individuals to represent you before the IRS (such as CPAs and Enrolled Agents). Once authorized, the individuals(s) are able to receive and inspect confidential tax information and communicate with the IRS in you behalf. Here at Private Tax Solutions, we offer account monitoring services for our potential and existing clients. This allows us to receive notices, discover important notifications, and observe changes on you account. When issues arise, we will notify you not just with the problem, but with a solution as well. Because we can take control all communications with the IRS, our Power of Attorney services provide peace of mind. Many people find that efficiently resolving issues with the IRS is a difficult process. 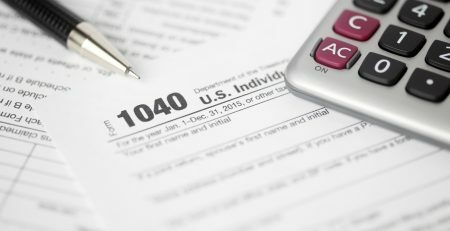 Our firm specializes in tax resolution services and can efficiently and effectively reduce the stress that accompanies being involved with the IRS by handling it for you. Allowing us to take the lead adds an extra helpful eye to any payments, forms, and communications. We will keep you updated, informed, and reassured. In addition to these real time services, our staff are trained to see opportunities for penalty abatement, meaning more money in your pocket. We also look for any red flags or historical issues that may have been overlooked. By allowing us to be your accountants and Power of Attorney, we have the ability to go above and beyond the routine services accounting firms offer. We will provide you with the highest quality services and can promise you will be taken care of by the best. Upon the request and/or our recommendation, we will request three pieces of information: your legal name, current address, and social security number. With this information, we are able to complete Form 2848, Power of Attorney. We then email you the form with simple instructions to complete it. Once signed, we ask a clear copy be sent to our office either by scan, fax, or a secure email upload. If you are in the locality of our office, there is the additional option to sign the form in person or deliver it to our office. From there, it is sent to an IRS processing unit. It typically takes 1-2 weeks to process this request. Once our firm receives notice that your Power of Attorney form has processed, we complete a thorough analysis of your tax account before reaching out with any worthwhile insights. So what are you waiting for? Call our office and get started today!